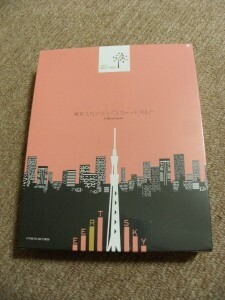 Business trip to Tokyo in the afternoon | Daily Life in Japan, Muravej Co. In the morning, I joined a meeting for the preparation of the specification of a new instrument. At 11 AM, I left the institute for Tokyo. At 2 PM, I arrived at Hongo, where I attended a publication meeting of a scientific society. We discussed till 4:30 PM. 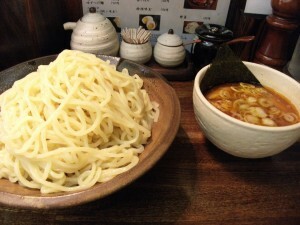 Then I had dipping doodles for late lunch at “Tsukemen Masaki“. The taste was delicate but not impressive. I moved to Honancho for an extraordinary real-estate meeting to introduce a new “electronic” electric breaker to reduce the electricity cost. It was accepted to install the breaker to the apartment in Nakaochiai. The meeting ended at 7 PM. I rushed to Shinjuku Station changing two trains. I managed to get on an express to Kofu leaving at 7:30 PM. On the train, I bought a souvenir for Katya, “Tokyo Skytree Sweet Tartes”. The taste was OK. I arrived at Kofu Station at 9:15 PM and rode a bike back. On the way, Katya and Maya-san came to see me. This entry was posted in Apartment, Daily life, Katya, Maya-san, Real estate business, Restaurant, Science and Technology, Trip and tagged apartment, Honancho, Hongo, instrument, Katya, Kofu, Kofu station, Maya-san, meeting, Nakaochiai, publication, real-estate meeting, scientific society, Shinjuku Station, specification, Tokyo, Tokyo Skytree. Bookmark the permalink.